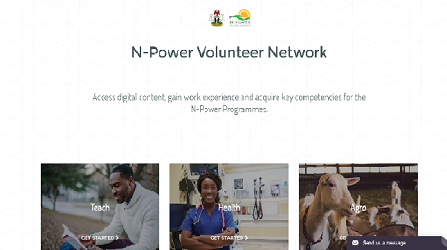 This is another interesting article for those people that are finding it difficult to select device and update their profile on Npower portal. This post is targeted at teaching you the steps you need to follow to select your device and also update your profile if you choose to do so. Once you are already on the page, select the option you volunteered to participate in from the three options (N-teach, N-health and N-agro) displayed. After selecting your option, login with your login details to access your dashboard. Once you are logged in to your account, you will see at the centre of the screen "Click here to select your device" written in red in. Simply click it. Select from the different dives displayed and click the select button. Note you are not allowed to choose another device after selecting. Updating your profile can mean correcting your Bank Verification Number (BVN), editing your account detail or changing your password. Hope this information was great? Use the comment box below for your comments, and please do not forget to share because sharing is caring.